Enter your YouTube video ID below to get started. For demonstration purposes, a test video is entered already. Great! Check the details below and fill in any gaps to finalise your video. Choose the aspect ratio that best fits your video. a dynamically-generated international collaborative mobile-documentary. The 24 Frames 24 Hours project engages with local communities around the world through mobile-filmmaking workshops. In the workshops, participants use mobile-filmmaking as a means of cultural expression. By creating short video clips, participants are empowered to shape representations about themselves and their communities. This site allows you to watch the dynamically-generated documentary by piecing together the individual video clips created as part of the mobile-filmmaking workshops. Get started by selecting one of the options below. Title by Author from New Zealand. Use the panel on the left to choose which locations, times or themes you want to see. 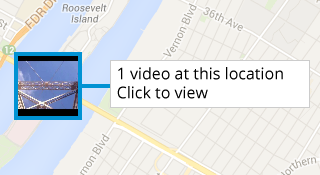 Videos that match your critera are shown in the results panel and on the map. 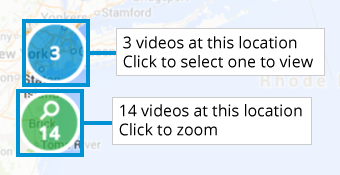 Choose a video from the results panel on the left or from the map to proceed or use the button below to skip the tutorial. Videos can be repositioned by clicking and dragging. Each video has controls and extra information that is shown when the video frame is hovered over. You can have multiple videos open at a time. Click the button below to end the tutorial.